There’s no doubt that Arizona summers are hot. 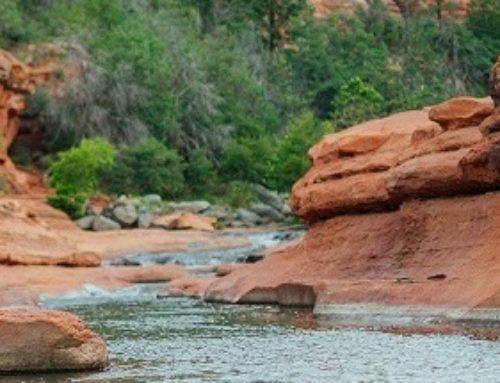 Those who plan summer escapes to the inspiring red rock setting of Sedona will certainly enjoy cooler temperatures, and visitors with a “green” mindset will appreciate the environmentally-friendly attributes of El Portal Sedona. The construction and design of the twelve room boutique hotel lends itself to energy efficiency and provides a cool, natural retreat from summer heat. Visitors’ first look at El Portal reveals an adobe and natural stone structure, shaded by trees and climbing vines, built on the site of an old apple orchard. 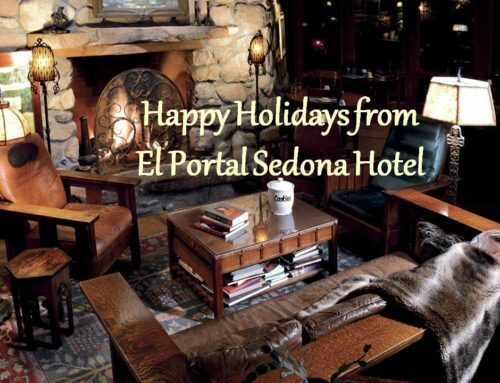 El Portal was designed in turn of the century Southwestern style and built with painstaking attention to detail, exactly as it would have been built over 100 years ago. The 18-inch thick handmade adobe walls provide a natural insulation for the structure. According to owner, Steve Segner, the hotel is so well insulated that if the air conditioning is turned off, the temperature within the building will only vary by one degree throughout the entire day. Segner has also shaded the hotel with large awnings to keep the temperatures cool while using less energy. The hotel was built with attention to the conservation of natural resources, featuring 200 year old recycled wood beams and trim, and natural native stone. Even the décor of the guest suites and living areas uses “recycled” furniture, in the form of museum quality Arts and Crafts furnishings. Each luxury suite features a different period design, with details such as hand-painted stencil designs, stained glass, rich tile detailing and views from beautifully arched windows. Natural wood, stone and tile flooring reinforce the subtle connection with nature, and keep rooms cool in summer. Suites were designed in accordance with the simplicity and function of turn of the century architecture, yet feature free high speed wireless internet access, entertainment centers, Jacuzzi tubs and other modern amenities. Outside of the suites, guests can enjoy spectacular red rock views from a private garden or sitting terrace. 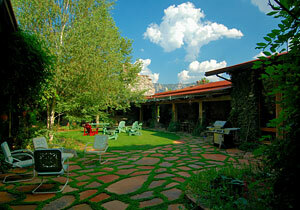 There is also a shaded, beautifully landscaped flagstone and grass center courtyard with a fountain where guests can relax and take in the beauty of the unique Sedona environment. Overall, the property was thoughtfully designed to blend in with the natural surroundings, forming a truly spiritual connection to nature. The gardens on the property continue the connection, and are open to the public. 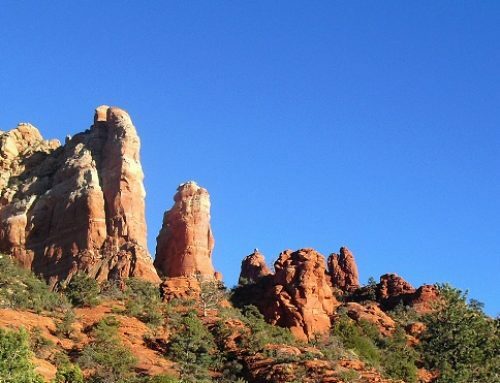 Much of what attracts visitors to Sedona is the opportunity to experience spectacular natural surroundings. 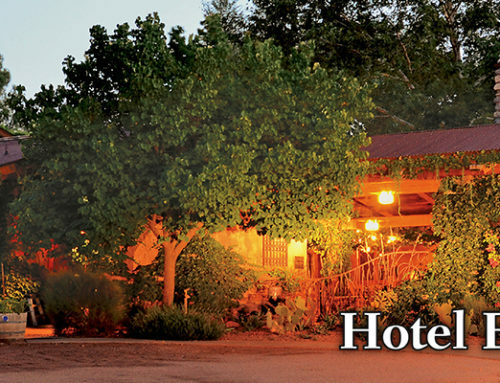 For those green-minded guests who wish to further explore a connection to nature, Segner and his staff are area outdoors experts, and can make hiking and sightseeing recommendations, as well as arrangements for excursions from nearby Oak Creek Canyon to the Grand Canyon. 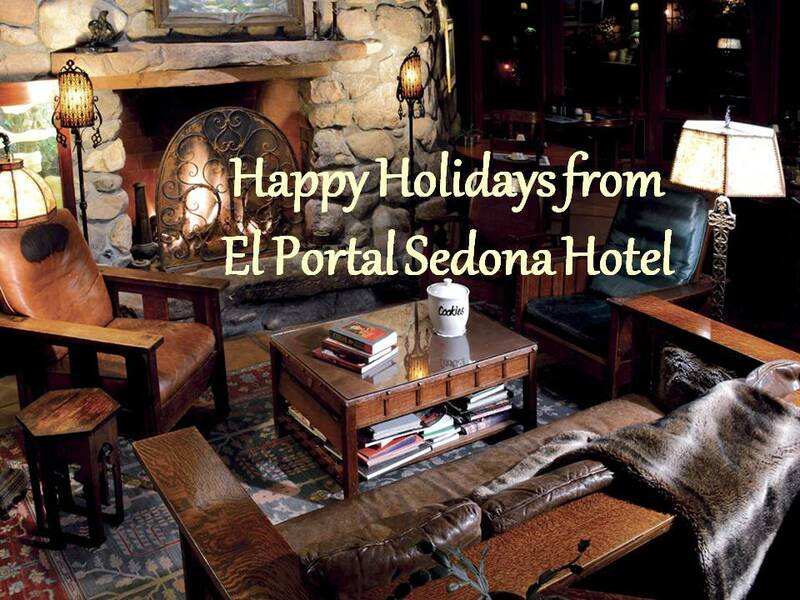 Visit our website to take advantage of special summer offers for your “green” summer getaway to El Portal Sedona. Questions? Call 1-800-313-0017.